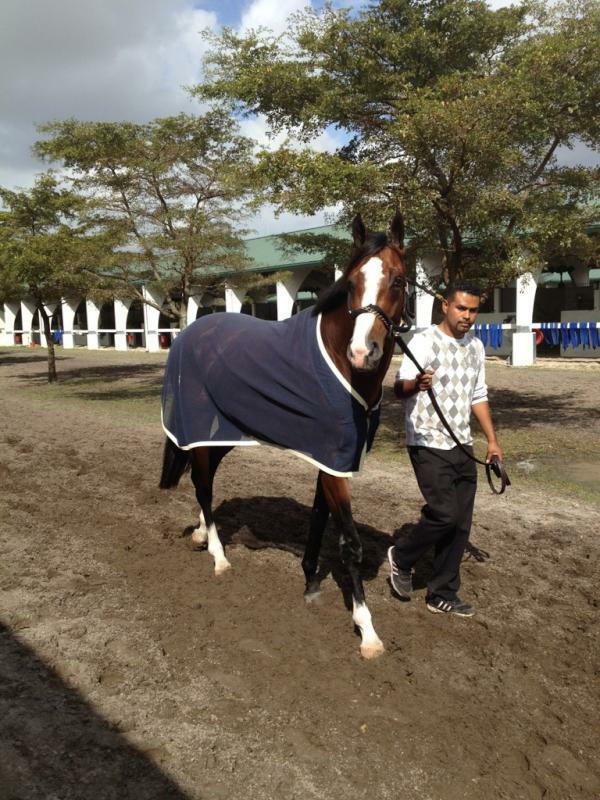 Michael Matz reported Union Rags was none the worse for wear the day after his Fountain of Youth (G2) score. The Florida Derby (G1) still remains the next target and will be the only race for Union Rags between now and the Kentucky Derby. Dale Romans was praising the effort by second place finisher News Pending and said the Florida Derby is a strong consideration as well. A decision on what to do with Algorithms, who scratched from the race with a splint injury, will not be made until later in the week// More news for Saturday’s Gotham Stakes (G3). DRF features Mark Casse’s Stealcase, who has already raced against several stakes winners in his maiden tries, including Hutcheson victor Thunder Moccasin. Check out the Todd Simmons piece from the Staten Island Advance about a morning stroll at Belmont that offers a different flavor and beat to your normal thoroughbred reporting// Updated future odds were released by Wynn Las Vegas. Not surprisingly, Union Rags plummeted to 4-1 as the favorite. Can’t see why anyone would take those odds in February, but many do// Out of Bounds had an extended workout at Hollywood Park Monday. He’s still on track for the San Felipe (G2)// Updated rankings from Steve Haskin as well as myself// I’ve also updated the CTD Contender page here. If you like updates to the site on Twitter you can follow CTD here or on Facebook here.